Whitley Cargile sprints up the field with great intent and focus. This weekend is shaping up to be an exciting and nerve-wracking experience for the South Siders of Chicago. The No. 11 Maroons are set to travel to Whitewater, Wisconsin, this Saturday to participate in the third round of the NCAA DIII Championship. Riding high off of their wins against both Webster and Augsburg in the first two rounds of the Championship, the South Siders are set to face off against No. 3 Thomas More in their first away game of the tournament. The 2016 season has been an overall successful one for the Maroons. They currently stand at No. 11 within DIII, touting a 17–3 overall record and an undefeated home record. This is a major improvement from last year’s season, which the Maroons finished out with a No. 25 ranking during the second round of the championship tournament. 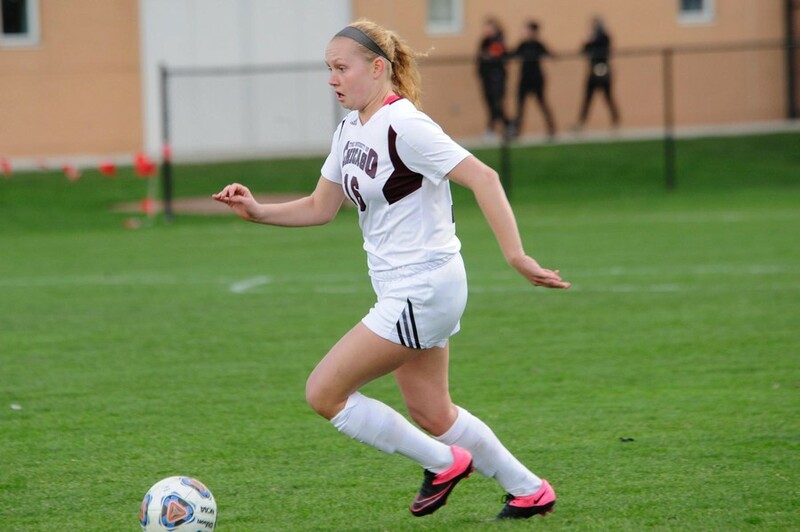 Additionally, their wins against Webster and Augsburg this year—although expected—were both decisive; the Maroons finished with a 2–0 win over Augsburg and an even more impressive 6–0 win over Webster. Despite boasting a successful run thus far, the South Siders face a major challenge in the form of Thomas More this weekend. The Maroons and Saints have faced two common opponents this year: Illinois-Wesleyan and Carnegie Mellon. Both teams were successful against the former. However, the Maroons suffered a 1–0 loss to Carnegie Mellon while the Saints managed to achieve a 2–1 win. In addition, the Saints have had a near perfect season, managing to stay undefeated throughout its entirety. Their current record stands at a very impressive 22–0–1. The Maroons’ loss against Thomas More last year was indeed a disappointing one. As Moore said, the Maroons’ 1–0 loss against the Saints in the second round of the tournament was what ended the South Siders’ season. The game against Thomas More will be held at the University of Wisconsin-Whitewater’s Fiskum Field on Saturday, November 19, at 11 a.m. If the Maroons are victorious in their matchup, they will advance to the quarterfinals of the tournament where they will face off against the winner of the Wisconsin-Whitewater–Pomona-Pitzer game on Sunday, November 20, at 1 p.m.